The Chartered Institute of Environmental Health (CEIH) sounded the alarm as the Labour Party demanded the Prime Minister accept adopting a permanent customs union with the EU as the price for getting her Withdrawal Agreement though Parliament. Though a customs union which included agriculture would remove the need for customs controls and tariffs, it is single market regulation which covers food safety and quality. Gary McFarlane, Northern Ireland director at CIEH, said: “The whole debate seems to have been focused on tariffs and customs and completely danced around the vital issue of food safety and standards. “It is critical our politicians recognise and understand safety and quality standards are ultimately about public protection. “If the UK leaves the single market, the EU will insist on product standard checks for goods moving between Northern Ireland and the Republic of Ireland. 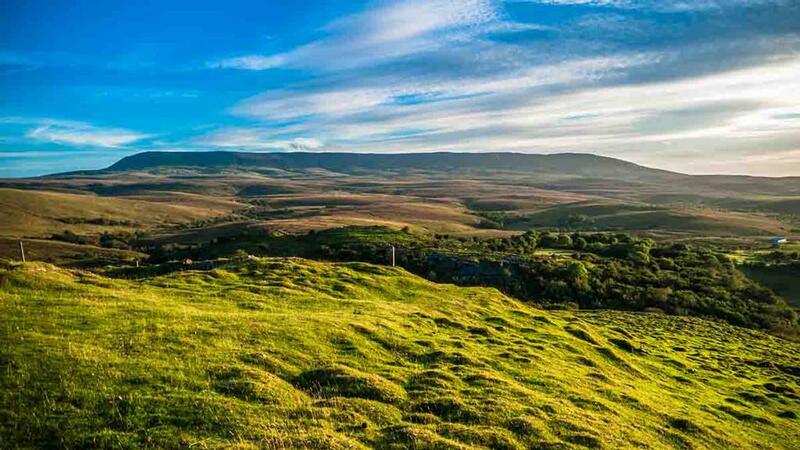 “Customs arrangements also do not obviate the need for new certification for any food products containing animal products moving from Northern Ireland to Ireland. 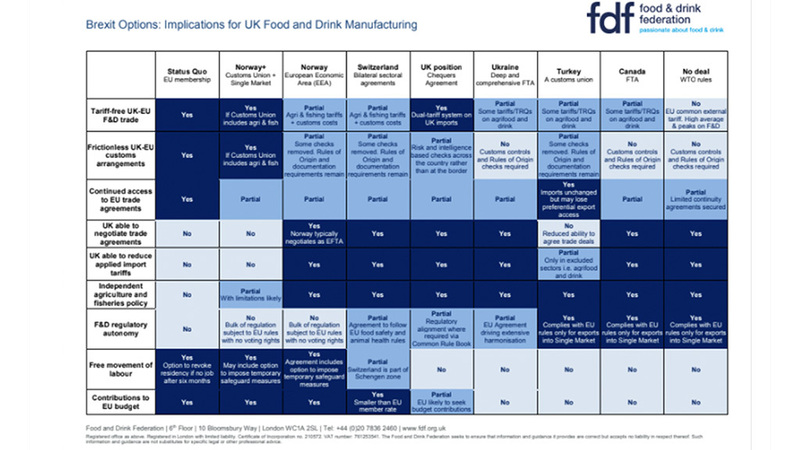 The CIEH’s warning comes shortly after the Food and Drink Federation (FDF) contacted all MPs to explain how the different options for the UK’s future relationship with the EU would affect the food industry (see table below).